The Greenville Mirror is a gorgeous piece full of Hollywood glamour. 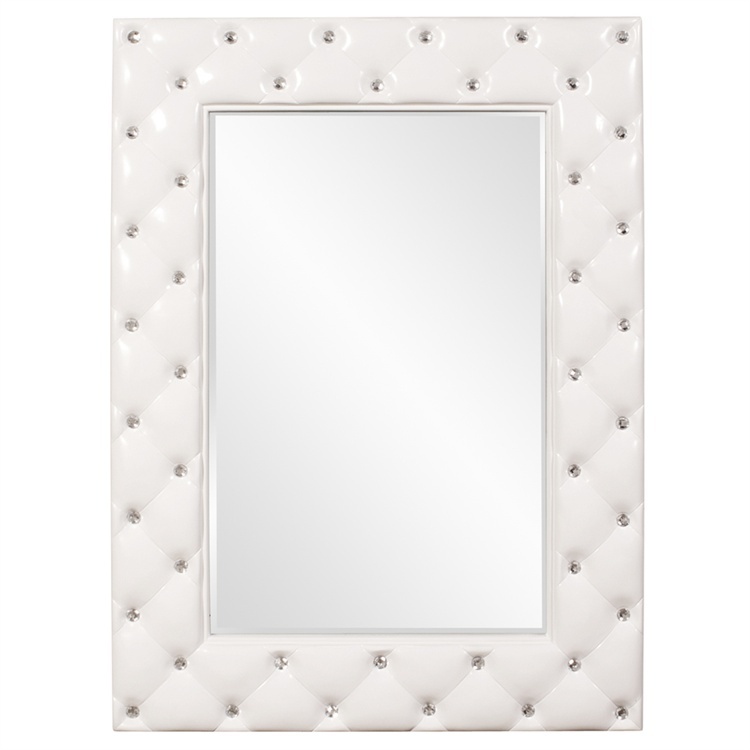 Its rectangular glossy white frame is accented with faux tufts each dotted by a crystal stud really making this piece dazzle. It is a perfect focal point for any design. The Greenville Mirror can be hung in a horizontal or vertical orientation. The glass is beveled adding to its style and beauty. Customizable for larger orders.